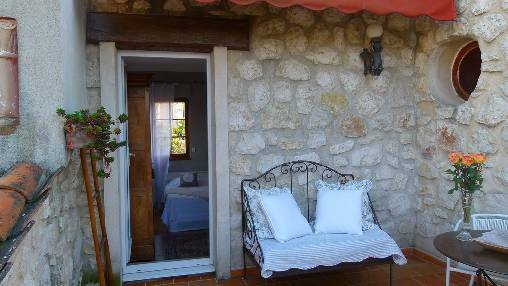 Here s an idea of original gift to offer for your family an unforgettable stay in bed and breakfast in a luxurious villa La Riviera a few steps from the sea, close to all these cities of light such as Nice, Cannes, Antibes, Saint Paul de Vence, Monaco, Cagnes sur Mer and the villages of Upper Country Nice to dream about, this example for honeymoon or birthday. 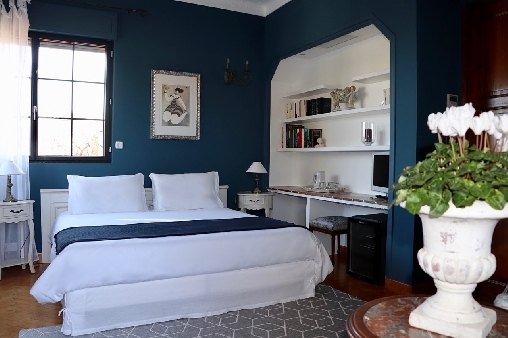 We offer a week end package or 2 nights in one of 2 rooms of your choice including an excellent breakfast: from 280 € to 340 € depending room. 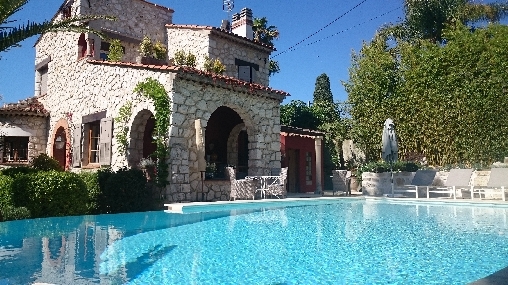 La Magaloun seduce you with its charm 1930, beautifully decorated rooms, a lush garden, infinity pool and only 7 minutes walk to the beaches and restaurants of Cagnes sur Mer. 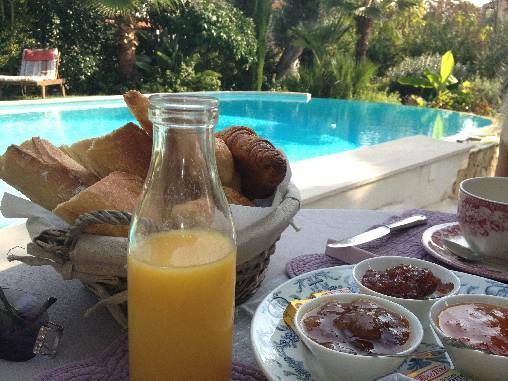 Close to the airport of Nice is an ideal place for a romantic getaway on the french riviera. 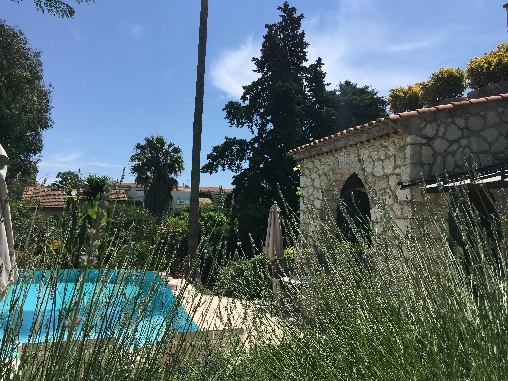 Cagnes sur Mer has a few miles of public beaches, , restaurants, the Hippodrome de la Côte d'azur, casino, tennis, water sports, fishing, mountain biking, golf nearby, the Renoir Museum, the old Cagnes. The shopping event of the Riviera! Polygone Riviera opened in Cagnes sur Mer in October 2015, creating the event of the year on the French Riviera!¨Polygone Rivieranow covers over 70 000 m2 along the Avenue of the Alps with a unique concept of lifestyle mall combining shopping, leisure, catering, course of contemporary art ... in an exceptional setting. Event: PRIMARK has opened its doors from March 2016 !!! We spent a lovely week at Le Magaloun. 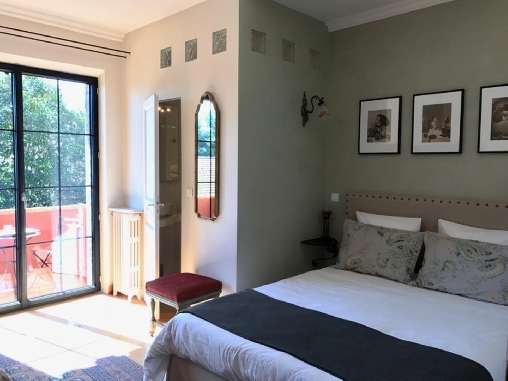 In fact Anita, Francois and Alexandra Selli all did their very best to make our stay at Le Magaloun a most enjoyable one. They gave us precious advise on the places to visit during our stay. The house is perfectly decorated, clean and very welcoming. We recommend it to anyone interested in a relaxing and satisfying holiday. St Paul De Vence, Mercantour, Arriere Pays Et Se Villages, Gorges Du Verdon, Eze Village, Château Cité Médié Haut De Cagnes Vale, Musée Chagall Picasso Matisse, Musée Picasso, Cité Médiévale Chateau, Musée Fernand Léger, Trophée Des Alpes, Fête Médiévale, Carnaval De Nice, Meeting D'hiver Et D'été Hippodrome, Fête De L'olivier, Festival De Cannes, Casino, Tourettes Sur Loup, Grasse, Arènes De Cimiez-nice, Fort Vauban-antibes, Forteresse De Villefranche, Grand Prix De Monaco, Nuits Du Sud Vence, Festival De Jazz Antibes Et Nice, St Paul Vence, Les Gorges Du Verdon, Gourdon, Eze/mer, Festival Cannes, Carnaval Nice, Fête Du Citron Menton, Gd Prix Monaco, St. Paul De Vence, Grasse Parfumeries, St. Tropez, Cathédrale De Grasse, Tourrettes S/loup, Frejus, Musée Fragonard, Les Gorges Du Loup, St. Maxim, Marchés Provençaux, Vallauris, Theoule S/mer, Saint Paul De Vence, Musées Picasso Et Peynet à Antibes, Musée F. Léger à Biot, Musée Renoir à Cagnes S/m, Chapelle Matisse à Vence, Musées Chagal, R. Dufy Et A. Naïf ... etc.